6 Bears Farm: Morning Dragon! 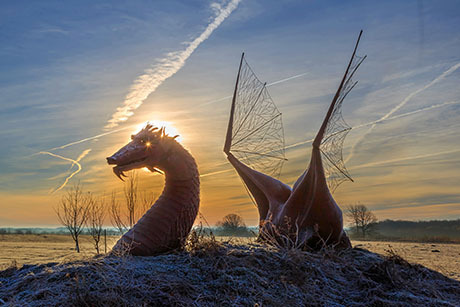 Metal dragon sculpture on Transit Road in Bethany at sunrise. Photo by Doug Yeomans.